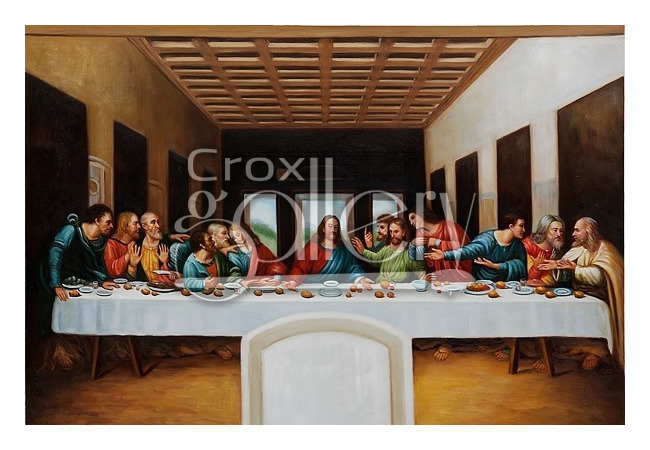 "The Last Supper" by Da Vinci, Oil Painting Reproduction. 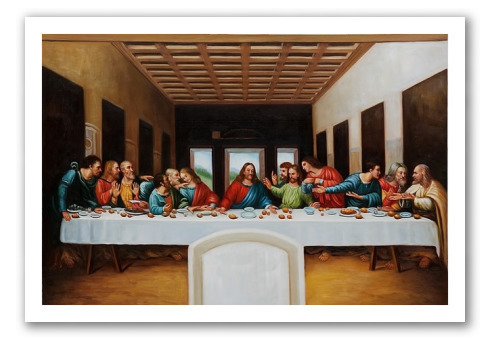 The Last Supper by Da Vinci is a religious painting on the wall of a church (fresco). The original of this work is an 28.8 x 15ft fresco. Painted on plaster between 1495 and 1497 in the Santa Maria delle Grazie convent, Milan, Italy.